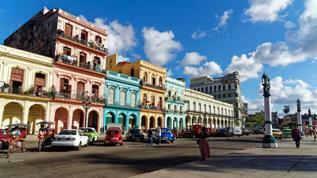 The continuing and growing chatter on doing business in Cuba is reaching epic proportions. It has become the “flavor of the month” (and will continue to be) among entrepreneurs, investors, exporters, importers, financiers and U.S. multinational companies. It is understandable. After 56 years of isolation from American commercial relations, the bilateral movement to restore diplomatic relations has created hope that normal business activity is right around the corner. Fantasies abound of a pre-revolutionary market economy where flourishing trade and investment and an explosion of tourist activity including casino gambling will rule supreme. Time for a reality check, however. The new, the novel, the exotic, the previously forbidden fruit may appear to be the most tantalizing, but objective criteria should form the true template from which to measure all business decisions. The incremental and marginal changes in trade with Cuba are just that–they do not represent a wide open door. To date, the most profitable businesses dealing with Cuba are those that put on conferences and seminars on doing business in Cuba. And the majority of these events are seances of pure speculation, since the true experts on doing business in Cuba (those doing business in Cuba today) would not dare speak honestly and openly for fear of being harrassed (or worse) by the Cuban government. Don’t get me wrong–I am all for doing business in and with Cuba once U.S. law is changed to permit that. I believe that the prospects for U.S.-Cuba are great, indeed. However, right now–in the here and now–American entrepreneurs and small companies, especially, need to consider what is known in economics as opportunity costs–whereby the same amount of time, energy, and money will reap a greater return elsewhere. The Dominican Republic and Panama are cases in point and solid benchmarks for comparison since they are also located in the Caribbean Basin region. In the first instance, besides agriculture similar to Cuba’s, the Dominican Republic’s non-agricultural substantial, including textiles, medical devices and footwear. The country has over 2000 manufacturing firms and hosts 112 call centers and 64 industrial parks it with 610 companies. Its tourism sector is its crown jewel, generating over $6 billion in annual income. The most-visited destination in the Caribbean, the DR attracted over 5 million tourists last year. Its first-rate tourism infrastructure comprises a welcoming and well-trained cadre of hospitality workers. Competition from Cuba will be challenging but certainly not a serious threat. A beneficiary of the DR-CAFTA trade agreement with the U.S., the nation’s $61 billion economy will expand about 6 percent this year, up from a previous forecast of 5 percent. Foreign direct investment, which will exceed $2.3 billion this year, totals over $30 billion and has grown 245% during the last decade. As for Panama, also a signatory of a free trade agreement with the U.S., the nation is located outside the hurricane zone and poised to benefit hugely from the $5.25 billion expansion of the Panama Canal. With a currency pegged to the U.S. dollar, the country is a bustling hub for trade and logistics, real estate, finance and banking as well as business processing (outsourcing, call center operations), and sports an exciting nightlife, casinos, beaches, and ecotourism and indigenous culture. Attracting over $5 billion in U.S. FDI, Panama’s pro-business environment has lured scores to establish regional headquarters there, including Johnson & Johnson, Caterpillar Inc. and Procter & Gamble Co. Panama ranks #38 out of 189 countries by the World Bank for ease of starting and business, #17 or accessing credit, and #9 for trading across borders. Among the key prerequisites for traders and investors are a stable environment characterized by the rule of law, a transparent and efficient legal and administrative system, access to credit, respect for contracts and property rights, dispute settlement mechanisms and customers with buying power. Cuba comes up short on all of these. The DR and Panama combined are one-third larger than Cuba; and whereas the average monthly wage in Cuba is $20, it is $363 in the DR and $541 in Panama. Cuba is a long-term play, much like investing in an empty lot in a neighborhood in transition versus opening a luxury retail store today in a high-end shopping center. Big companies and investor groups with billions in assets can afford to invest in Cuba now for the future; for all others, there are more immediate opportunities elsewhere. Former Federal Reserve chairman Alan Greenspan, in a 1996 televised speech, referred to the continued overvaluation of stocks as “irrational exuberance” — an apt expression today in the wake of President Barack Obama’s Dec. 17th announcement of a policy to normalize relations with Cuba. It is wishful thinking to believe that the renewal of diplomatic relations with Cuba will lead to removal of the U.S. trade embargo with that nation. Only Congress can suspend the Helms-Burton Act — a law that requires a transition to democracy in Cuba, restitution of confiscated property of U.S. citizens and the absence from power of both Castro brothers. Remittances and financial services. Under the new agreement, the limit on remittances from Cuban-Americans to family in Cuba will be raised from $500 to $2,000 per quarter, and remittance forwarders will no longer require a specific license. Remittance levels are currently $2 billion, so the potential injection of four times as much capital into the Cuban economy would be huge. The Cuban government also would win big, because it charges a “processing fee” of 10 percent on all remittances. With their Venezuelan ATM “temporarily out or order” and neither Russia nor China able to whip out their checkbooks, Raúl Castro needs hard currency desperately. Tourism. 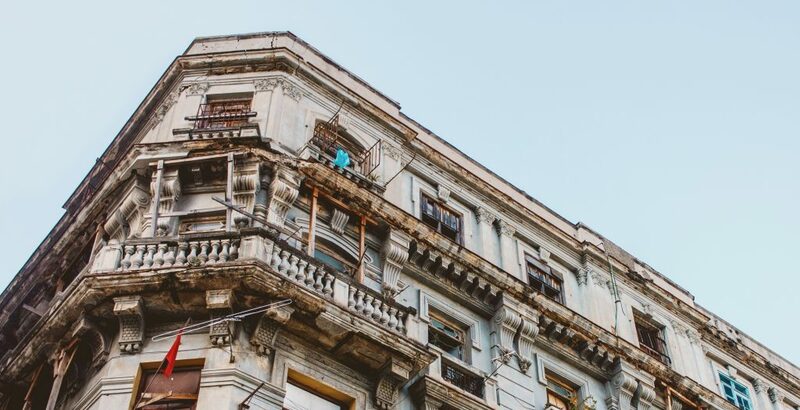 New rules still prohibit U.S. citizens from traveling to Cuba, except for those who fall within 12 currently existing categories; however, those permitted to do so, will no longer need to seek formal approval from Treasury’s Office of Foreign Assets Control. Were the embargo to be lifted, the IMF predicts both winners and losers in Caribbean tourism. “Curiosity tourism” to Cuba would surge, with prices rising and Cuban infrastructure, at capacity already, unable to accommodate the large influx. U.S. travel to Cuba would probably be a “one-off” — that is, not a repeat destination like the Dominican Republic where price, quality and service are far superior to Cuba’s. Trade. The U.S. and Cuba do have a trade relationship; however, it is restricted primarily to agricultural commodities and products, medicines and health care products. However, U.S. commodity exports to Cuba have declined by nearly 57 percent during the last six years. Under the Obama plan, U.S. firms would be permitted to export building supplies, inputs for small farmers, and products that Cuban entrepreneurs could use to establish small businesses. Removal of the embargo in its entirety could create huge opportunities for telecom equipment and a wide range of industrial exports from the U.S. and selected Cuban imports (e.g., rum, cigars). One big caveat, however: Who is going to finance trade with Cuba and under what terms? Without U.S government guarantees (the Export-Import Bank or Small Business Administration) for trade financing and insurance, neither banks nor companies will extend credit to a nation that is notorious for failing to make good on its loans. And one should not forget that all import, wholesale and retail operations must go through Cuban state companies, all controlled by the military, that will earn a windfall of revenue in both tariffs and mark-ups on goods for final sale. Access and affordability of goods. Cubans can buy a wide range of imported goods — providing they are available and affordable (doubtful on both counts). Samsung products (South Korea), Toshiba laptops (Japan), Adidas athletic shoes (Germany), Diesel jeans (Italy) as well as gray market goods coming from third countries can be purchased. But at what price? The average annual income in Cuba is $240. It is seven times greater in the Dominican Republic, nearly five times more in Haiti, and 15 times more in Jamaica. So even without the embargo, how attractive is the Cuban consumer market — a market where the monthly wage is equal to one Cohiba cigar? Jerry Haar is a professor of business at Florida International University and a non-resident senior research fellow at the McDonough School of Business, Georgetown University. His email is jerry.haar@fiu.edu.